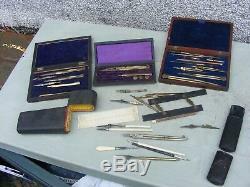 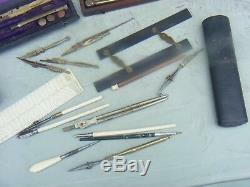 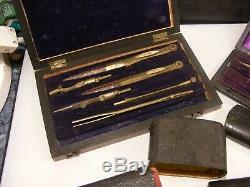 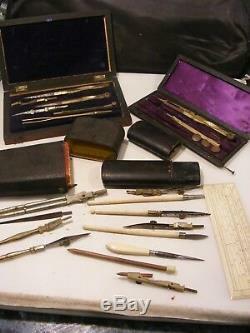 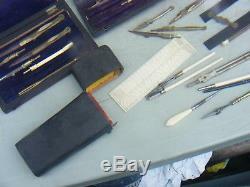 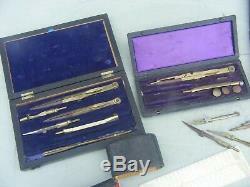 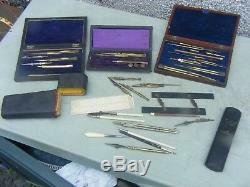 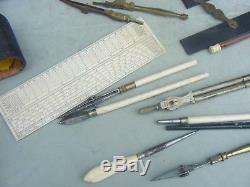 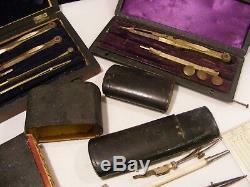 LISTED IS A GROUP OF ANTIQUE DRAWING INSTRUMENT SETS THEIR IS ALSO AN EARLY 19TH CENTURY SHAGREEN DRAWING SET, THEY ARE ALL ANTIQUE SETS THERE IS AN OLD RARE RULER ETC, THE SETS HAS A DEGREE OF WEAR WITH AGE AND THE CONTENTS MAYBE MIXED UP, THERE MAYBE SOME BITS MISSING FROM EACH SET, , PLEASE SATISFY YOURSELF WITH IMAGES PROVIDED. 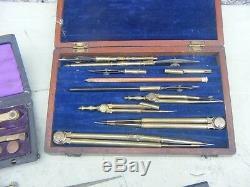 THANKING YOU FOR TAKEN THE TIME IN LOOKING. 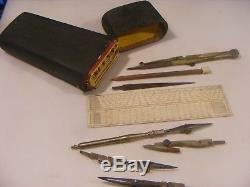 The item "ANTIQUE DRAWING INSTRUMENTS SETS AND SHAGREEN DRAWING INSTRUMENTS SET" is in sale since Friday, March 22, 2019.